In this Changemaker Challenge Career Clarity Session, Carly Banks sits down with fellow Amarylis Fernandez, yoga health coach in training, to discuss overcoming fear and obstacles to invest in your own prosperity. Amarylis is a prenatal yoga teacher who was looking for a way to continue to work with her students after they delivered their babies and support them in the early years of motherhood. After watching Cate’s work for a couple of years, and with a passion for ayurveda, Amarylis took the plunge into Yoga Health Coaching, despite her doubts about whether or not she could afford the cost of the program. Amarylis enrolled in YHC during a time of huge transition. Her marriage was dissolving, She didn’t have much of an income from her yoga teaching or her work with nonprofit organizations, and she knew she would have to figure out how to support herself and her daughter. She was done with the scarcity mindset and knew she wanted to make more money. Amarlyis has enrolled nine members in her YHC pilot, and she has paid off her tuition. She knew she could serve others in a bigger way; she just wasn’t sure how to do it. Yoga health coaching is that way. Amarylis did the work and trusted that her members would show up, and they did. She has learned that the investment of money translates into an investment in yourself. Why investing in Yoga Health Coaching sometimes involves a change in mindset about “spending” money. How Yoga Health Coaching is just the right combination of growth mindset and solid business practices. Why sometimes the only obstacle you really need to overcome is your mindset. Catch Yogahealer Black Friday Sweet Deal-EXTENDED! 0:00 – Amarylis is getting ready to launch her pilot coaching group. As a prenatal yoga teacher, she was looking for a way to continue to work with her students after they delivered their babies and support them in the early years of motherhood. 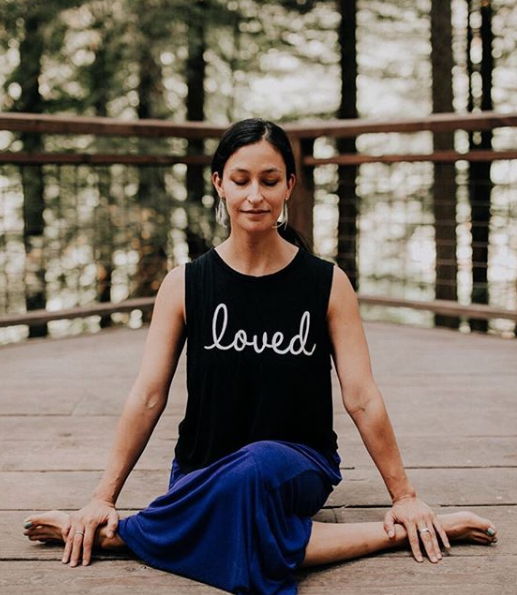 After watching Cate’s work for a couple of years, and with a passion for ayurveda, Amarylis took the plunge into Yoga Health Coaching, despite her doubts about whether or not she could afford the cost of the program. 6:08 – Amarylis enrolled in YHC during a time of huge transition. Her marriage was dissolving, She didn’t have much of an income from her yoga teaching or her work with nonprofit organizations, and she knew she would have to figure out how to support herself and her daughter. She was done with the scarcity mindset and knew she wanted to make more money. 9:40 – Amarlyis has enrolled nine members in her YHC pilot, and she has paid off her tuition. She was enrolled in Living Ayurveda at the same time and was able to schedule her pilot during a time that made sense for her. 13:40 – Amarylis has learned that the investment of money translates into an investment in yourself. The power of yoga health coaching lies in the support and accountability of your group. 15:25 – Yoga Health Coaching is just the right combination of growth mindset and solid business practices. Amarylis knew she could serve others in a bigger way; she just wasn’t sure how to do it. Yoga health coaching is that way. Amarylis did the work and trusted that her members would show up, and they did. Amarylis Fernandez is a yoga teach, a yoga health coach in training, and a mother. Not so long ago, Amarylis was totally frazzled, ungrounded, and desperate for change. And she realized things wouldn’t change until she did. So she did. Now, Amarylis is on a path to guide women into vibrant living amidst the beautiful chaos children can bring. She spent a transformative month living at the Kripalu Center for Yoga and Health getting my 200 hour yoga teacher certification. She earned her 85 hour pre/postnatal certificate through the Bhaktishop in Portland, Oregon. She’s trained more than 200 hours in Ayurveda with Cate Stillman of Yoga Healer, and specialized in Ayurveda for pregnant mamas and new mothers through Sacred Window’s Ayurvedic Doula programs. Amarylis believes the transition into motherhood is a wild and wondrous ride that can be aided by yoga in all forms: postures, breath work, meditation, mantra, and help from your tiny guru(s)! She also knows the potent life transformations that occur when the wisdom of Ayurveda is incorporated into daily rhythms. Connect with Amarylis on her FB page and get more info on Amarylis’s website.